The overall dimensions are 1590mm Long x 1240mm Wide x 590mm High. It weighs 60.0 Kg and has moulded internal baffles. 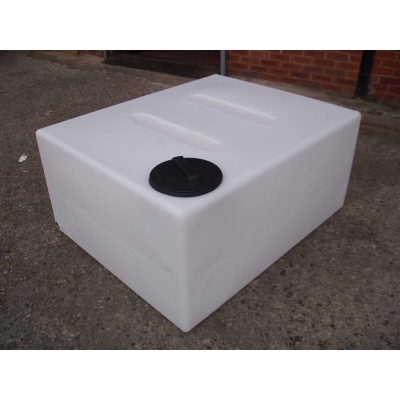 Ideal for van mounting, to transport liquids It is made from natural translucent medium density polyethylene with a 1" BSP outlet and 8" cap. Options to order include 6" spring vented cap and 8" vented black cap.